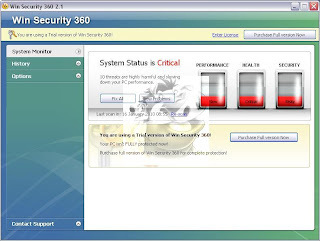 Win Security 360 is a new rogue security application. This rogue uses the 1st generation WiniGuard rogue Family's site template. 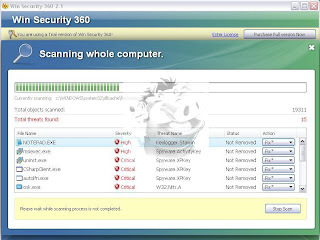 They also make use of the existing generic fake/scare scanner page templates.